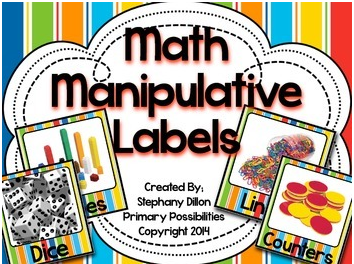 ~Labels, Labels, Labels: I make sure to label everything the students work with from the computers which I number, to the manipulatives that have picture labels. Not only is it helpful for students because they can easily find what they need, it also gives them no excuses for not putting things back where they belong! ~I keep a basket for all of the Math Workshop papers. I use recording sheets with almost all of the stations aside from games, computers, and iPads. This is a way to keep the students accountable for their work. I don't usually give grades on these papers, but they help me track who is completing their work and completing it correctly! ~Need More Time Crate! When students don't finish their work they place their paper in their folder in the crate. These become their responsibility and keeps unfinished work from cluttering up my table and files! 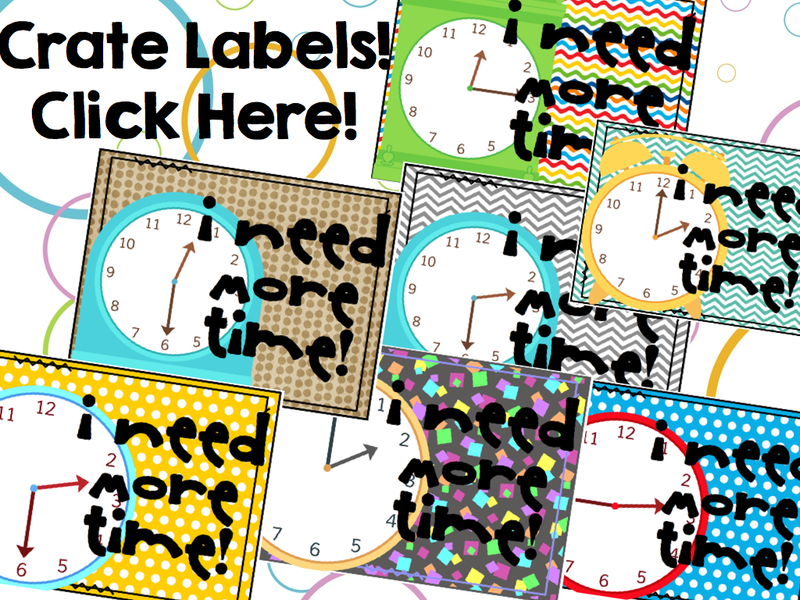 Click on the image below to grab up a label for your "Need More Time Crate"! I am a big fan of reteaching and small groups. Math Workshop helps me to do that because I can make sure students are working on the skills they need to work on, not everyone is forced to work at the same pace. It also creates an environment where students take responsibility for their own learning and feel more pride when they meet their goals or master a standard. Students have data books where they track their own progress, they take pride in seeing their "stairs" go up on their graph. Letting them work towards mastering a standard during math stations lets them know they aren't stuck below their goal forever!